McGarity & Efstration, LLC helps accident victims and their families on a daily basis. We treat each case with the care and personal attention it deserves. Most importantly, our accident attorneys have the experience to effectively prosecute lawsuits arising out of the negligent, careless or intentional acts. If you or a loved one has sustained a serious injury in Buford, Gwinnett County or greater Atlanta, you can trust our attorneys to pursue justice for you and obtain the full measure of compensation you deserve. Unlike other states, Georgia does not cap damages in medical malpractice or other kinds of personal injury cases. In 2010, the Georgia Supreme Court ruled that damages caps violate the right to a jury trial established in the state constitution. Our firm always strives to obtain for you the highest settlement or jury award possible. On the other hand, Georgia law can limit your recovery severely. 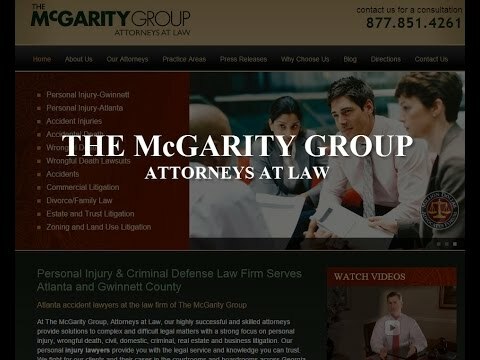 In Georgia, a personal injury claim is subject to the state’s the comparative negligence law. Comparative negligence is used in cases where the injured party and the defendant may both have contributed to the injury event. If a court determines that an injured party’s own actions were as much as 50 percent to blame for the accident, that party is barred from recovering any compensation against the defendant. If the injured party is somewhat to blame, the recovery is reduced by the percentage the court assigns. For example, an injured person who suffered $200,000 in compensable losses, but was 25 percent at fault, can only recover 75 percent of the damage amount, which would be $150,000. As your Buford personal injury lawyers, we fully investigate the circumstance of your case to put forward the facts necessary to maximize your damage award. If you or a loved one has suffered a serious injury, trust McGarity & Efstration, LLC to hold the negligent party accountable. Our skilled trial lawyers give your case the personal attention it deserves. To schedule a free consultation with an experienced accident lawyer, call our Buford or Braselton office today at 877.851.4261 or contact us online.